With the Apple vs. Flash debate and whether HTML5 is a replacement for Adobe Flash, some pundits claimed HTML5 would never gain real adoption. 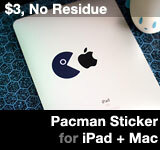 Here is another reason why the anything-but-Apple, anti-innovation FUD-sters are wrong: even Microsoft’s I.E. browser started to offer HTML5 support. This week, Microsoft demos its Internet Explorer 9.0 “preview” (public beta) that prominently lists HTML5 support. IE9 will also support H.264 HTML5 video. Surprise, surprise. Microsoft follows Apple’s footsteps again, year(s) behind, just as the Redmond Dilbert design committee had predicted. This time, Microsoft attempts to copy the web standard compliance of Apple Safari browser. The MS Internet Explorer browser, well known for security problems and non-compliance to World Wide Web W3C standards, is finally gaining HTML5 support with IE 9. 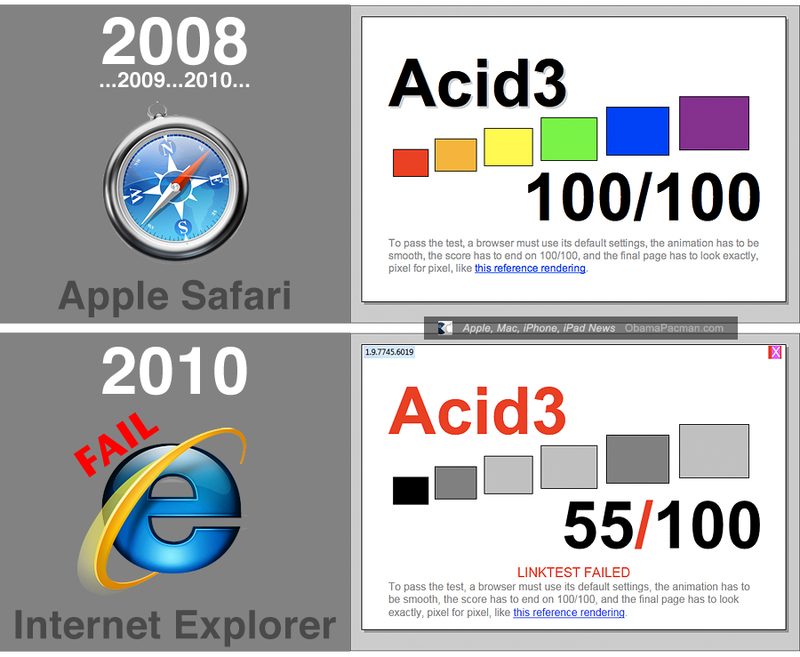 One of the ways to test for browser web standard compliance is the Acid3 test. The newest preview version of the MS IE9 only scored 55/100, failing the web standard compliance test. 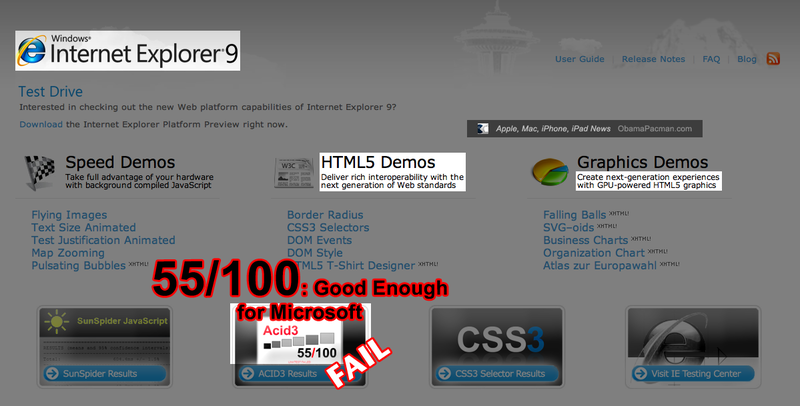 IE9’s fail score is still an improvement over Internet Explorer 8.0, which fails the Acid3 with score of 20/100. Apple Safari web browser scored 100/100 for over a year now; counting Safari beta, the Apple browser has achieved 100/100 score for about 18 months. 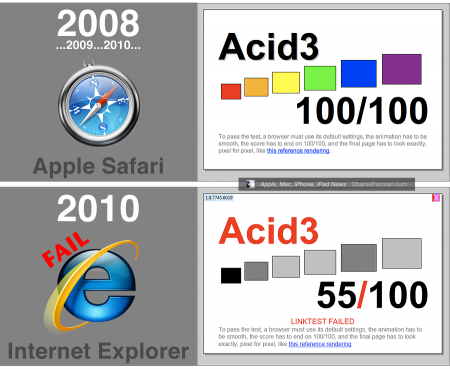 Google Chrome browser has also achieved 100/100 Acid3 score. Microsoft, Leader of Technology Innovations? Microsoft: yesterday’s technology implementation, tomorrow! It’s unknown when IE will achieve 100/100 web standard compliance, but there is always sometime in the future. Or, instead of waiting and waiting for Microsoft to play catch up, IE users can use a better alternative browser. Many already do. Current Windows Mobile Phones (WiMP) that are being sold are based on the antiquated Windows CE “platform.” The Microsoft CE WiMPs use Internet Explorer Mobile 6, which fails Acid3 test with a pathetic score of 5/100. Just like the desktop Safari web-standard-compliance, Apple’s Mobile Safari browser, used for iPhone, iPod touch, and upcoming iPad tablet, is the most standard compliant browser on smartphones, beating web browsers from Google Android, Nokia, Palm webOS, Microsoft Windows CE, & RIM BlackBerry. With tech titans Apple and Google pushing HTML5, even Microsoft cannot deny that the web is moving to HTML5. Apple is the largest business that does not use the proprietary Adobe flash plugin on its website, conducts billions of dollars of transaction on Apple.com with HTML5. Google is also a huge HTML5 proponent. The Google search engine is HTML5, Google video service YouTube has HTML5 video option, and most popular Google web apps such as gmail are based in HTML5. Video service Vimeo also has HTML5 video option. Virgin America Airline also has built their new website based on HTML5 to better cater to iPhone and HTML5 compliant smartphones. Even Microsoft agrees: “HTML5 is the Next generation of Web Standards.” There is no mention of flash or silverlight on the IE page as a web standard. This entry was posted on Wednesday, March 17th, 2010 at 2:47 pm	and is filed under Microsoft. You can follow any responses to this entry through the RSS 2.0 feed.